Logoinspirations.co launched a fun challenge in which we just had to participate in. 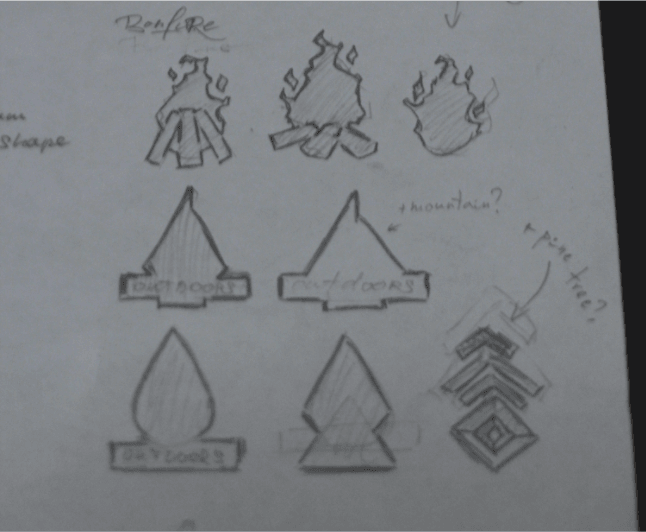 The premise was to design a unique badge design related to the outdoors – below we will outline our developmental process and sketches which will lead to the final submission. 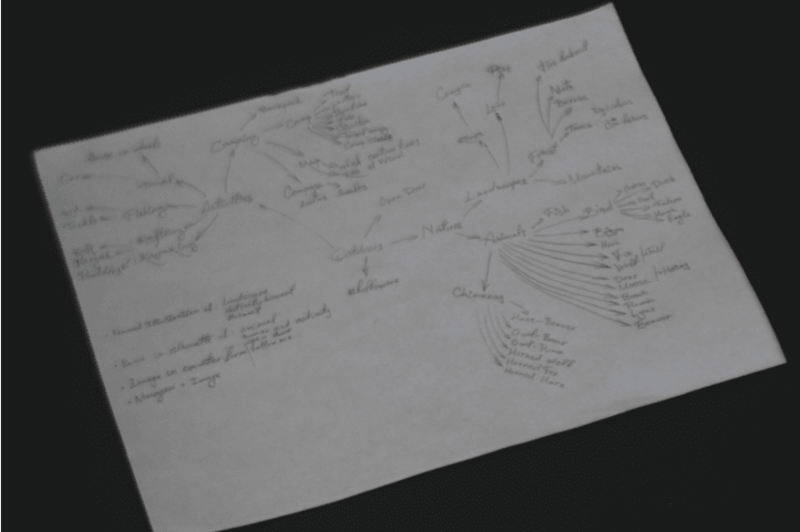 The first step was to create an associations mindmap in which we create lists of various words and phrases associated to the overall theme of the design. This immediately helps us come up with elements we can draw up and play around with. The first idea is an illustration of a natural landscape or people engaged in an outdoor activity that would be within a certain shape. It’s one of the more popular options, so let’s see if we can try to find the right form. The Door: We considered using the “open door” as a direct image but without an explicitly illustrated door, it might not work. 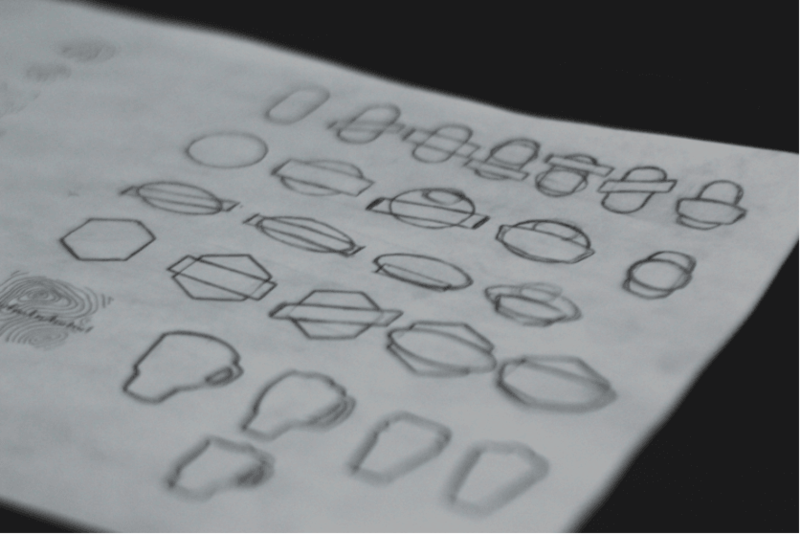 When we began drawing it out, we noticed an asymmetry which worked rather clumsily rather than dynamically. 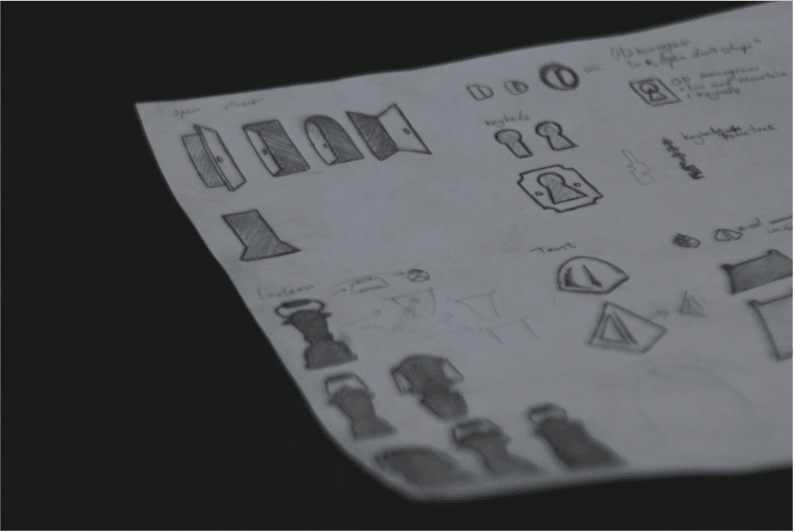 We even considered the shape of a keyhole but still didn’t fit into the final vision we were trying to reach. The Travel Mug: A good metaphor that can represent a pastime of the outdoors. If we pair it with great landscape imagery, we know it will help reinforce the metaphor we hope to showcase. The Lantern: While the shape of it is more complex than a mugs’, it can still portray the same metaphor. 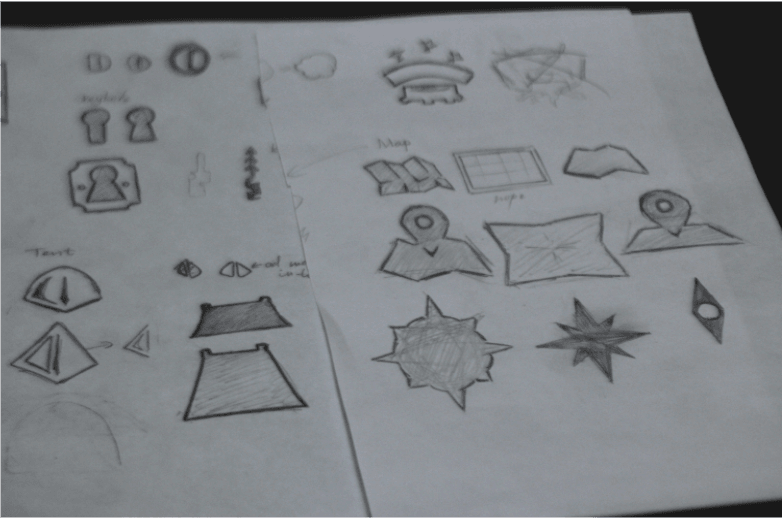 Since the shape itself is complex, the idea would be to keep any design within it clean and simple. The Tent: Compared to the lantern and mug, it might be a bit more difficult to decipher what it is if only used as a silhouette. A Bonfire: This element produces a strong and direct metaphor for the outdoors but its form might be too overloaded and sharp for the badge we want to produce. Meaning the lantern or mug still continue to be stronger contenders. The Backpack: You should always be prepared when heading out to nature and where do you pack your things? Within a backpack! So the association works great but the silhouette might not, might create too much of a congested feeling. The Vintage Van: Cruising down the highway or bunkering in by your campsite underneath the stars – the campervan has a strong association with traveling and could be our best contender. 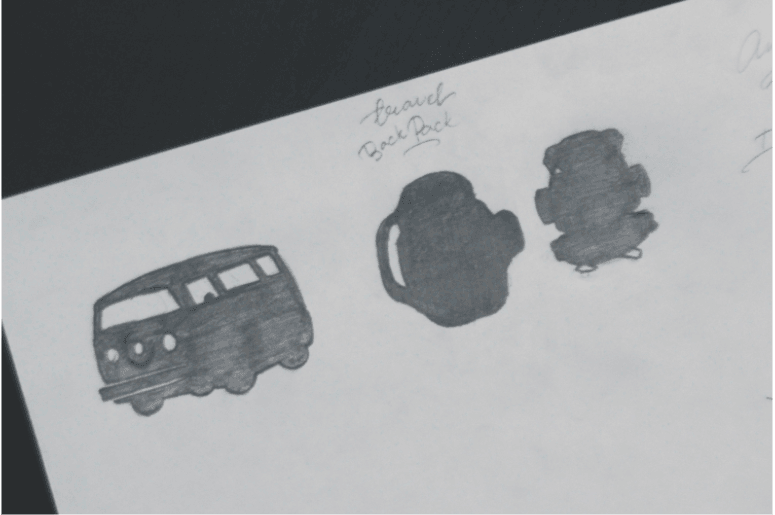 We loved the idea of adventure and travel, and wanting to stay on point with one of today’s popular trends so we decided to narrow our design to the Traveling Van. The silhouette of the retro van automatically presents a strong connotation to an outdoor journey and escape. So we decided we wanted to paint a complete picture within the van that would include a camp at the lake (a tent, possible bonfire but without a person). The absence of a person allows viewers to feel that this whole story is for them. The van, the camp, the beautiful peaceful surrounding nature is there waiting for them. Here is the final look, let us know what you think below.